After workouts, mornings, or afternoons. Per serving. Amino acids are naturally occurring and values are approximated. Information varies by flavor. 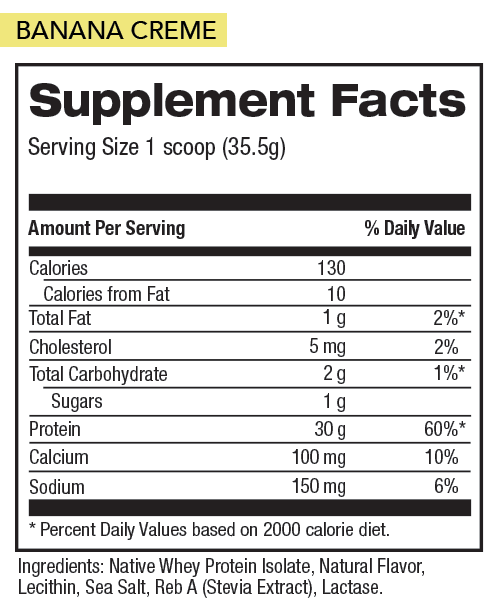 Refer to nutritional, ingredient, and allergen information for complete details. Native whey is not a byproduct of cheese manufacturing or subjected to secondary pasteurization. 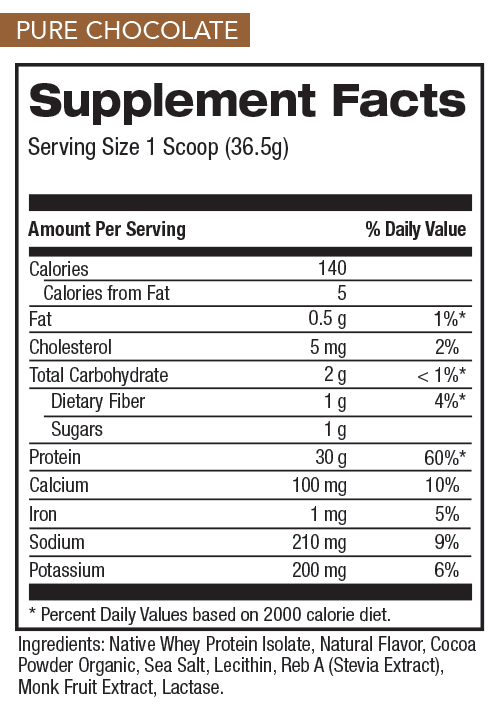 Compared to standard whey protein isolate. No significant difference has been shown between the milk of rBST treated and untreated cows. *These statements have not been evaluated by the Food and Drug Administration. This product is not intended to prevent, treat, cure or prevent any disease. 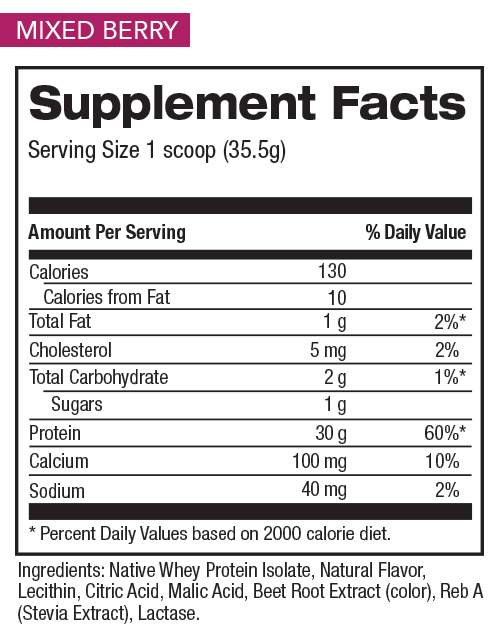 Add 1 scoop of NATIVE PRO 100™ to a glass or shaker cup filled with 8 ounces of cold water. Stir or shake for a few seconds until powder is fully dissolved. Enjoy. Tip: Try blending NATIVE PRO 100 with milk, fresh fruit, and ice cubes for a creamer texture and added antioxidant power. CONTAINS: MILK AND SOY INGREDIENTS. Great taste, mixes well and is very filling. I have tried many protein shakes over the past 16 yrs and none of them even come close to the quality & taste of Native Pro 100. One of the other important things I like about this product, is the minimal ingredient used to make a high quality, great tasting & no aftertaste, protein supplement. This powder mixes clean with no lumps or residue on the bottom of your shaker. 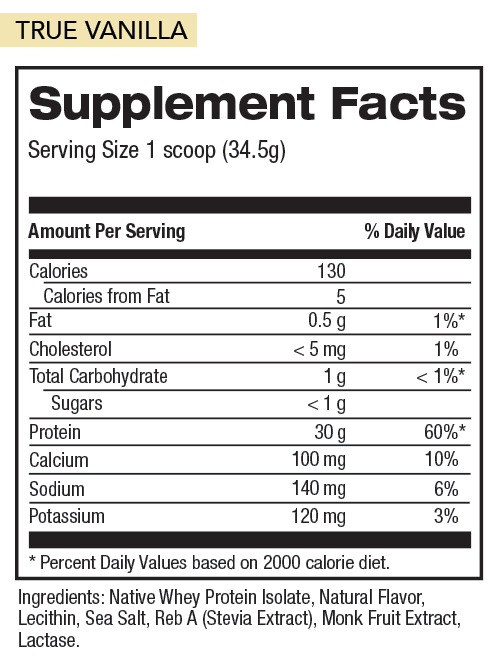 I have purchased the banana flavor and found it to mix great with fat free milk. Great taste and clean.